Maui is the second largest island in Hawaii and arguably the most popular island with tourists. The gorgeous beaches, lush rainforests, and iconic volcanic landscapes are big draws for visitors and combined with the cultural highlights of the island, make it a great place to explore. The majority of the island, however, is completely inaccessible by land. A great way to combat this is to take a helicopter tour over the island. 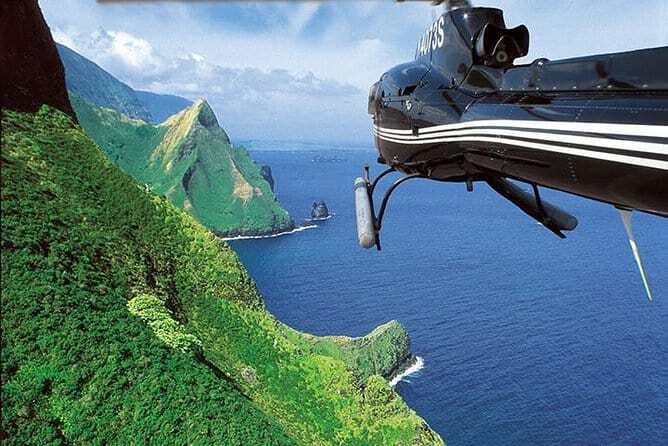 There are many helicopter tours focused on specific areas – depending on what you want to see – as well as tours that cover the whole island and fly you over other islands. 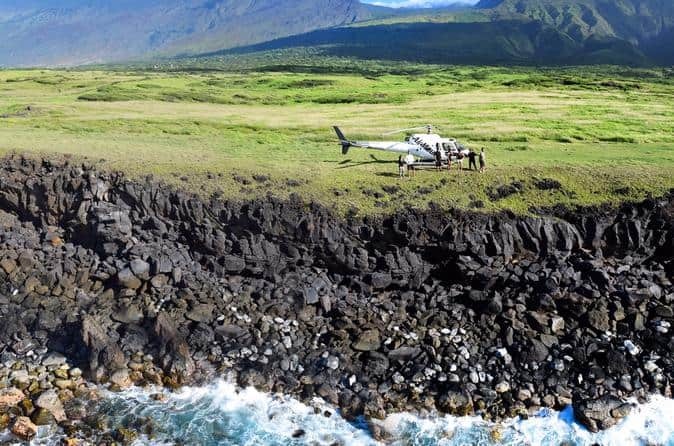 Here are the 15 best helicopter tours you can take in Maui. This helicopter tour aims to take you to the most beautiful views Maui has to offer, with a knowledgeable guide offering you commentary about where each of the spots is and what it means to the locals. Soar over the volcanoes, beaches, and villages of Maui, and get a bird’s eye perspective over the entire island as you complete a full circle of the area. You will also get to check out some of the lesser-known sights. 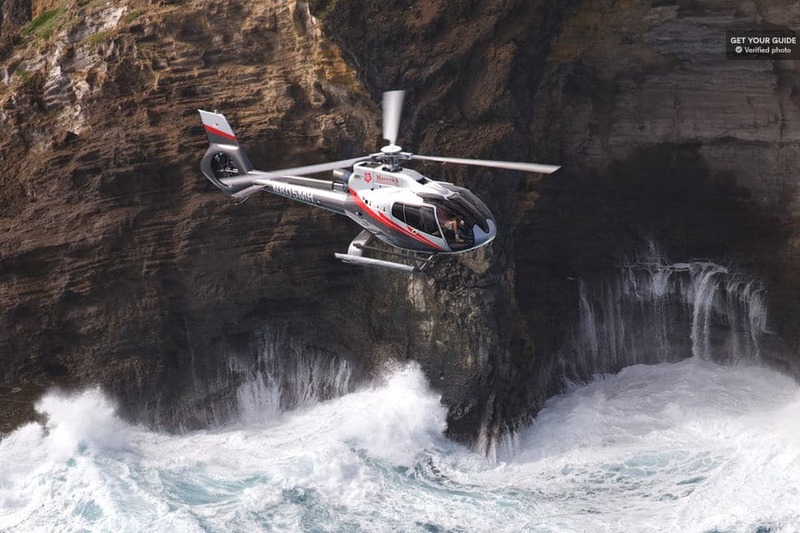 This helicopter tour focuses on the dramatic natural beauty of Maui and includes a trip to the nearby island of Molokai. Enjoy the image of beautiful, cascading waterfalls from the sky, as well as views over the lush green rainforests and towering volcanoes. This 55-minute flight comes with in-flight commentary outlining the natural sights and how they were formed. You will also be able to check out the north shore of Maui – a much more remote location with some hidden gems along the coastline. 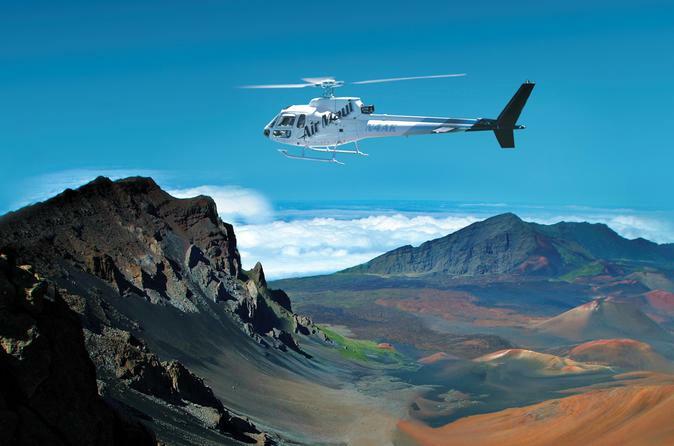 This helicopter tour is focused on the natural beauty of the eastern half of Maui. You will enjoy spectacular views over the Hana rainforest, as well as a unique vantage point over the Haleakala Volcano and the streaming waterfalls across the island. You will be able to see the impressive crater of one of the largest dormant volcanoes in the world and take in the breathtaking scenery of the lush forest areas. This tour is 50 minutes long and includes a live tour guide to help you make sense of what you are seeing. Get a romantic view across many of Hawaii’s islands with this helicopter tour at sunset. You will fly over Maui, Molokai, and Lanai, gaining you a great view over the gorgeous azure waters of the Pailolo Channel – as well as the world-famous elephant rock. Spot the ancient fish ponds on Molokai, and gaze upon the half-submerged volcano craters in the region. This is a 40-minute tour; your in-flight guide will talk about the nature in the area as well as how the islands were formed. Your journey finishes up with a breathtaking view of Maui at sunset. Take in the lush green vegetation of the Hana Rainforest – one of the most remote attractions in Maui that is best seen from the sky. You will be taken on a 40-minute helicopter ride over the rainforest, with a live in-flight guide talking to you about how the rainforest was formed and the beautiful flora and fauna of the region. 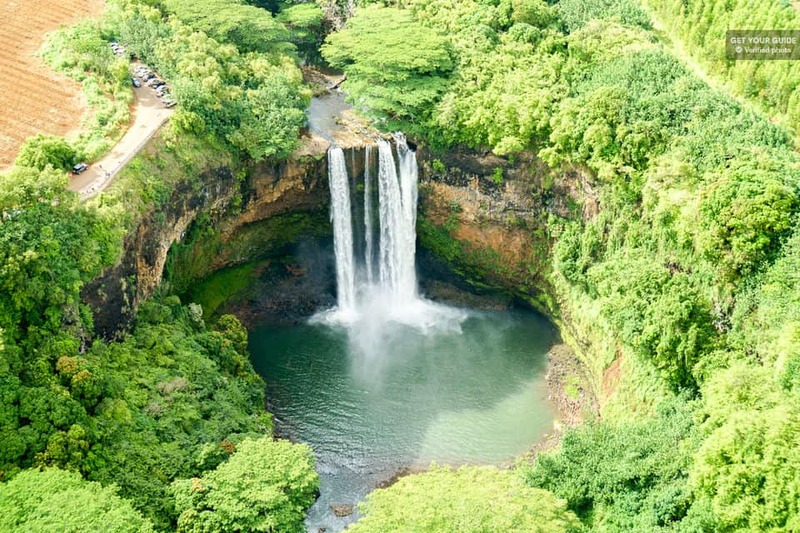 You will then land within the rainforest itself for an on-the-ground exploration, giving you a unique insight into one of the most naturally interesting regions of Hawaii. You will check out a former taro plantation and finish up with a breathtaking view over the Wailua Valley. This tour takes you on a half-day trip to the Big Island of Hawaii from Maui. Here, you will get a spectacular view over the large volcano on the island, as well as the unique scenery and lush vegetation. This tour was featured on HGTV and is very popular with visitors to the island who are staying on Maui but want a quick look at one of the other islands. This helicopter can seat up to three guests, giving an intimate and unique experience that can be adapted to your wishes. Drinks are included, as is a private headset for listening to the guide. This tour is a private experience for up to three people, though usually taken by couples due to the romantic nature. 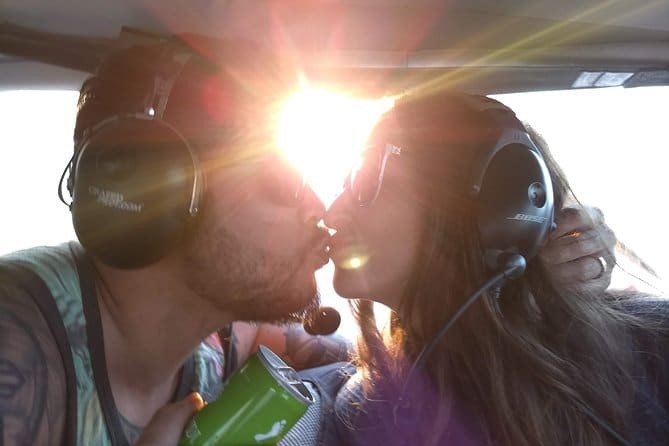 You will get your own private sunset tour of Maui and surrounding islets, as well as a complimentary glass of champagne each to enjoy whilst you admire the romantic and breathtaking views. Your fully licensed guide will communicate to you via a complimentary headset, which allows you to appreciate the scenery below and understand the magnificent natural processes that created the islands of Hawaii. Another great private tour over Maui, this tour is the only one on the island that focuses on whale watching. 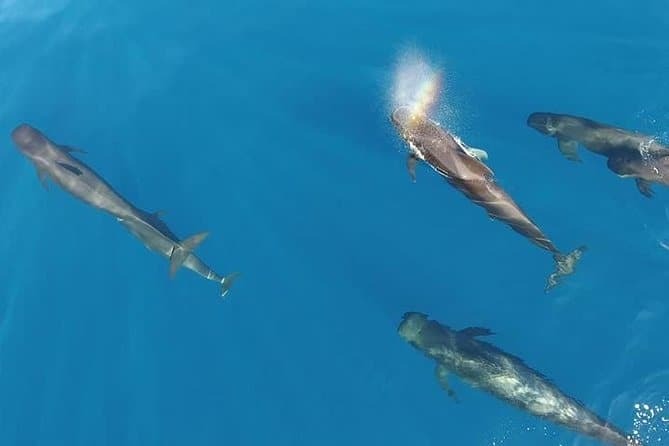 You will be given the opportunity to safely and humanely spot the natural marine life that surrounds Maui. Your in-flight guide will communicate to you via a complimentary headset so you can better spot the marine mammals and learn about their natural habitats. This tour was also featured on HGTV and comes highly recommended by past visitors to Maui. You will also be taken to other major sights over the island. 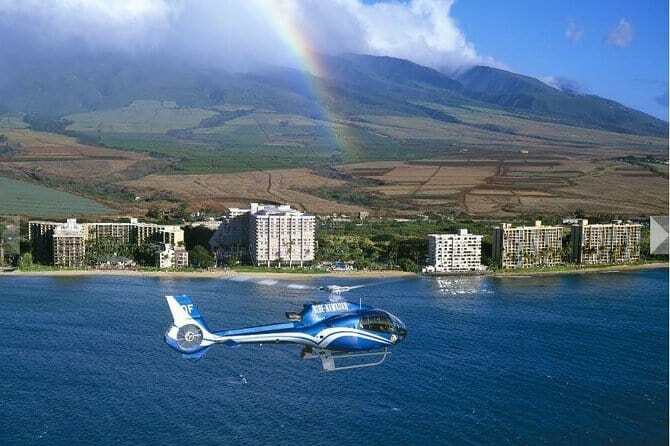 This tour combines a luxury limo ride with a helicopter flight to give you a mesmerizing six-hour tour of the island of Maui. The road to Hana is a famous trail across the island, taking you to the lush rainforests of the east. You can check out the tropical gardens and enjoy the sights and smells of the unique flora of the island. The tour will finish with a helicopter ride over the island, returning you to your departure point. This tour is limited to six passengers to create a more intimate and personalized experience. This is another great helicopter tour over the eastern half of the island – giving you unparalleled views over the most beautiful and remote parts. 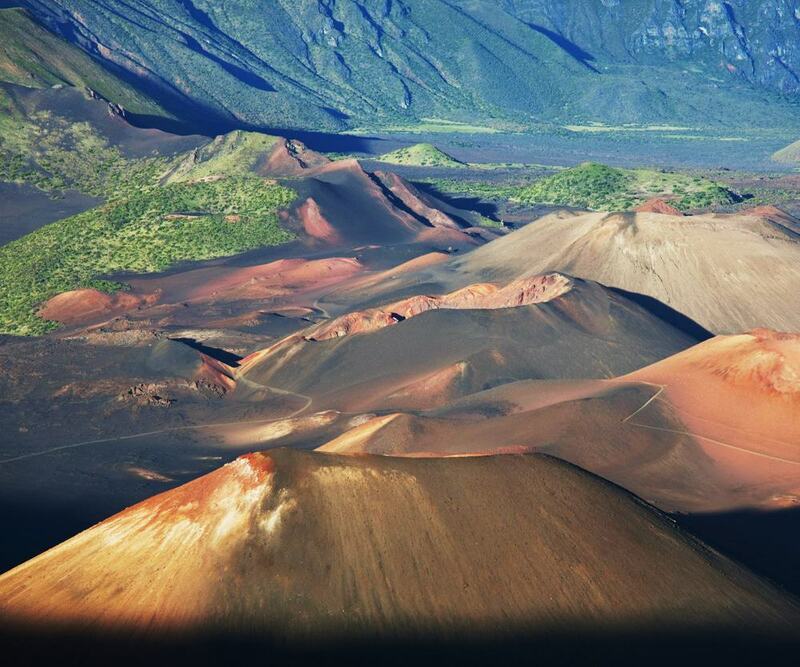 Your tour will focus on the magnificent crater of the Haleakala Volcano. One of the largest dormant volcanoes in the world, Haleakala gives an almost lunar landscape and gently becomes the lush Hana Forest area – giving an entirely different view over the island. This 45-minute tour is fully narrated via live headset. If you want a spectacular experience encompassing the whole island of Maui, this tour is for you. 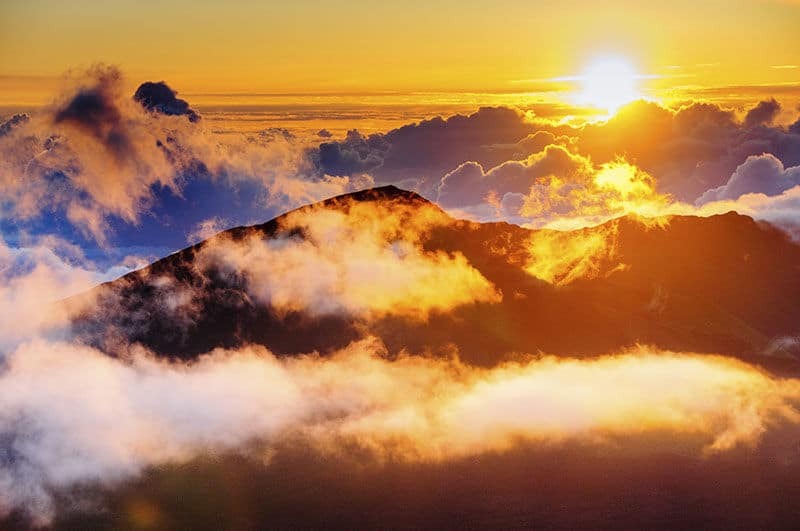 The entirety of the second largest island in Hawaii is covered in this tour that circles along the coast, crosses over the lush forests, and shows you the breathtaking Haleakala Volcano. 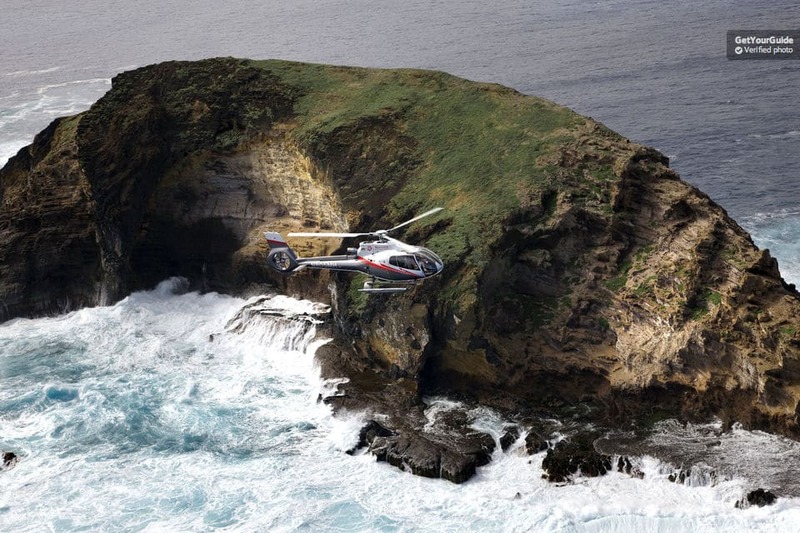 This helicopter tour shows you all the parts of the island that cannot be accessed by land. It is a 60-minute tour with a knowledgeable, local guide. The luxurious interior of the helicopter is designed with comfortable leather seats and air conditioning, making it one of the most comfortable options. 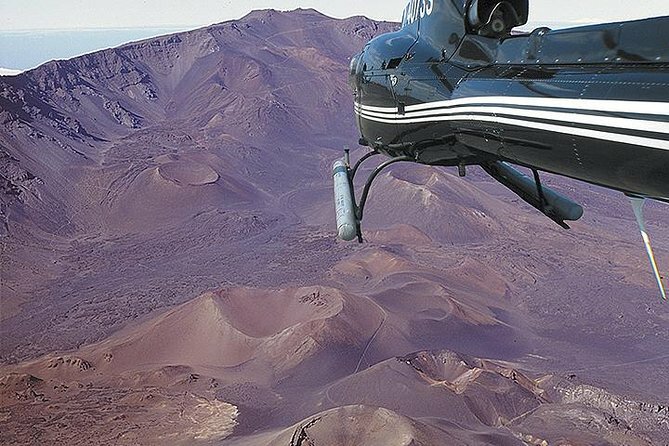 Like many helicopter tours, this particular tour shows off the mostly inaccessible Hana Rainforest and the outstanding Haleakala Volcano crater. It also, however, finishes off with a cliffside landing, giving you unique views over the entire island. Here, you will have the opportunity to photograph one of the most remote spots on the island and enjoy views that cannot be accessed by land. The 75-minute experience will take you over waterfalls and valleys and comes with a fully-licensed guide. This tour gives you fantastic views over the western half of the island, where you can check out the cultural hubs of the island from above as well as some of the natural highlights. You will then be taken across the Pailolo Channel to Molokai, where you will be treated to cascading waterfalls and gorgeous marine life that can be viewed from the sky. You will also be able to see Kalaupapa – the remote settlement where Hansen’s disease patients were exiled to for treatment by local ministers. 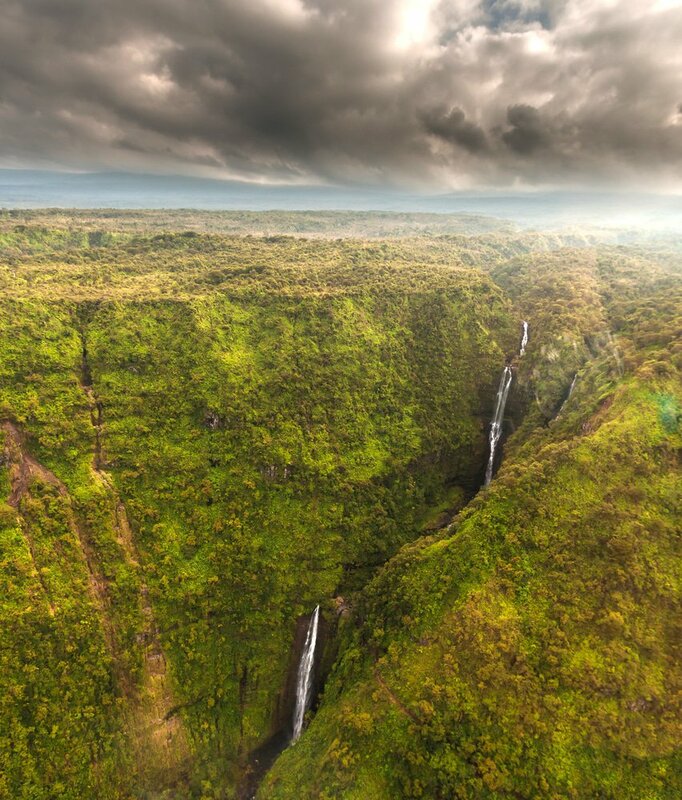 This scenic flight over the Big Island allows you to take control and learn how to fly whilst also taking in the amazing scenery of Maui and the Big Island. Departing from Maui, your patient guide will teach you how to fly over the islands, pointing out some of the best sights along the way. 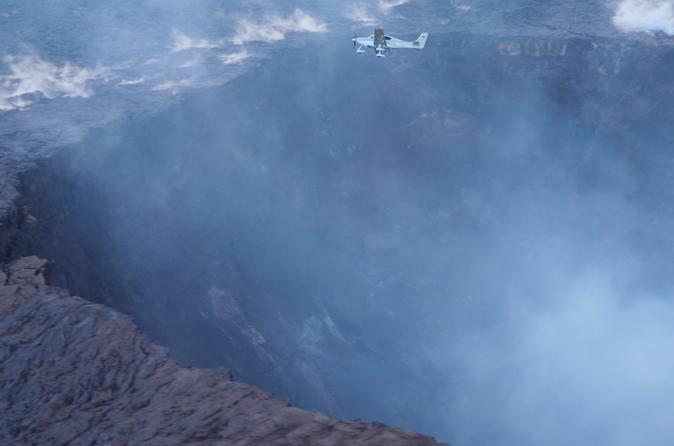 You will soar over volcanoes, rainforests, and valleys as you learn how to pilot your own flight. This is a great tour if you are undecided on which parts you want to focus on and want a well-priced tour that allows you to catch the main points of interest. Take in the cultural and natural highlights of West Maui, as well as the Hana Rainforest and Haleakala Volcano crater in the east of the island.